We often get booking inquiries for the Marangu route. This classic route up Kilimanjaro is also known also as the “Coca-Cola” route. It mimics the original path Hans Meyer trekked to become the first European to summit Mount Kilimanjaro. The Marangu route has the reputation of being the easiest way to climb Kilimanjaro. Where does this notion come from? It mostly has to do with the route profile – the grade of the ascent and descent. Marangu is generally a steady, gentle climb all the way to the top, followed by the same mildly sloped path back to the gate. It is the shortest climb in term of days – just five. Additionally the Marangu route has sleeping huts so climbers do not have to camp on this route. Lastly, with a nickname like “Coca-Cola” route, it just seems like a friendly walk. But do not let these factors fool you – the Marangu route is tough. Why? The reason is simple – because it is the shortest route. With the trek usually scheduled for five days, the quick ascent puts a strain on the body’s ability to acclimatize. To acclimatize well to the decreasing oxygen, we need to gain elevation at a slow pace. By all accounts, the slower the rate the more effective the body is in adjusting. When looking at the Marangu route, the trek starts at 6,046 feet at Marangu Gate and tops out at 19,341 feet. That is appoximately a 13,300 ft gain in just three and a half days (and one and a half days down for a five day itinerary)! No wonder people fail to summit on such a large scale. The rate of ascent is far too fast for most people. Kilimanjaro National Park figures showed that the summit success rate for the five day climb is a paltry 27%, hardly the numbers that support Marangu being an easy climb. Our preferred routes, such as the Northern Circuit, have steep climbs followed by sharp descents on a few days. These movements require a lot of energy and thus can be discouraging for those who doubt their fitness. However, this fear is usually unfounded because the acclimatization benefit of these up and down days far outweighs the cons of the extra energy expenditure needed to hike them. Up and down hiking days adhere to one of the basic adages in mountaineering – Climb High, Sleep Low. This principle states that one should climb to a relatively higher elevation than the altitude of where one sleeps. Experiencing the higher elevation preconditions the body at that new level, and then sleeping at the lower elevation allows one to recover and rest well. All things being equal, a person who hikes a route that incorporates Climb High, Sleep Low should fare better than one who hikes a route that does not. In the case of Marangu versus Northern Circuit, the addition of several more days on the mountain for the Northern Circuit results in a significantly higher, near perfect success rate. We regularly achieve annual success rates of 95-100% on the 9 Day Northern Circuit. We at Ultimate Kilimanjaro® want you to succeed. We want you to make the summit and return safely. We want you to have a good time in the process. The best way to accomplish this is to avoid the Marangu route. Instead, opt for one of our longer preferred routes. Not only do our preferred routes have higher success rates and safer schedules, they also have less crowds and better scenery. Don’t listen to the marketing out there that promotes the Marangu route as an easy, comfortable jaunt for inexperienced hikers – it is not. The Marangu route is actually one of the hardest ways to the top. Comments Off on Should I be Concerned About Ebola when Climbing Kilimanjaro? 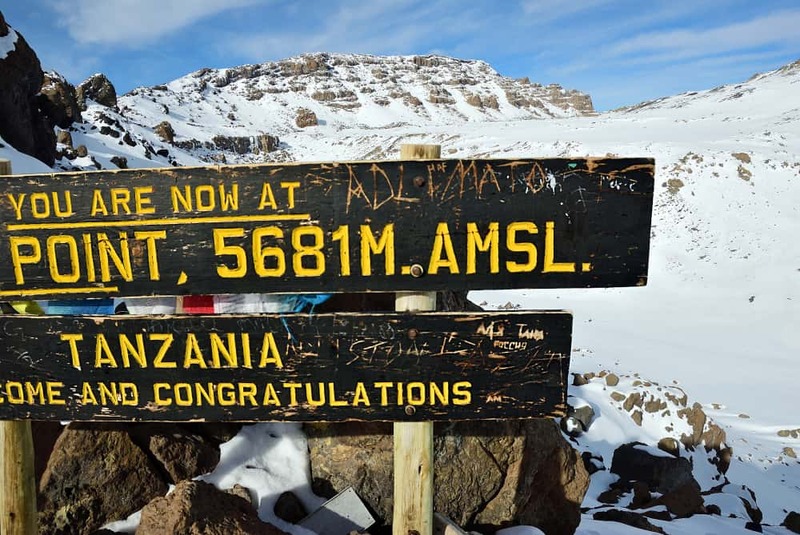 Comments Off on Which Routes do Climbers use on Mount Kilimanjaro?